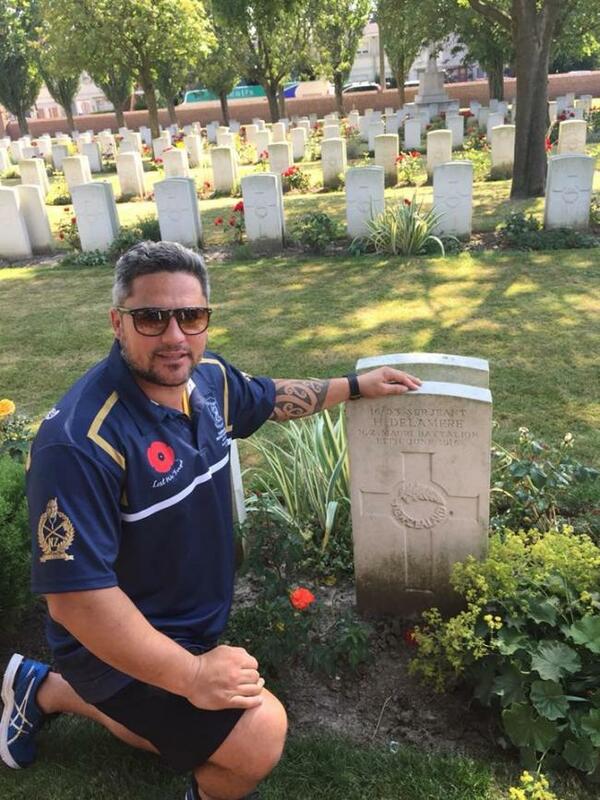 Tauranga Boys' College Maori Battalion Tour to WW1 & WW2 sites in France, Belgium and Italy July 2018. Thank you for singing a Himene to our tipuna Heremia Delamere at Cite Bonjean Military Cemetery, France. From mokopuna Tane Taitoko. Not to be reproduced without permission.